We represent top rated food cart insurance companies. Submit one application & we’ll help find the best price & coverage options for you! As required by most commissary kitchens, events, etc. email, call, or fill out our online form. We respond quickly, at no additional charge. Our zero deductible plans give your food cart legal and claim protection, without being out of pocket. Our insurance policies cover your food cart for collision, theft, vandalism, weather, and more, regardless of the location. Insure My Food was designed by an insurance agency that “gets” food carts and vendors. We understand the challenges and needs of your business and are committed to supporting the food cart and vendor community. We know you don’t have time to spend on long applications, or agents who don’t understand your business. Not only do we insure in almost every state, We represent many different food cart and vendor insurance carriers and can shop the best fit for your business for cost and coverage options without any sales pressure. After much research and many phone calls and emails, we chose Insure My Food. We spoke with Joel, who was extremely kind and very knowledgeable about our needs and then offered me a very competitive rate and actually beat out the others! 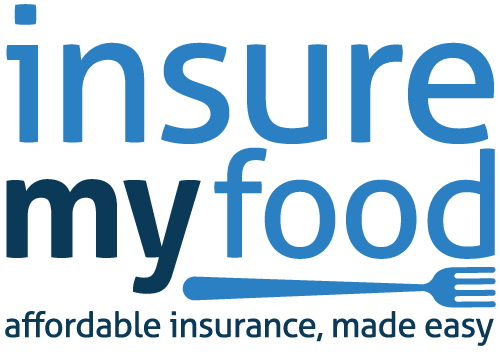 Insure My Food quickly and efficiently takes care of all of our COI’s needed, thank you! Running a food cart can be fun, rewarding, and sometimes overwhelming with the number of hats you have to wear as a business owner! Insurance is probably the last thing you want to think about, let alone pay for. However, it is an integral part of any successful business.